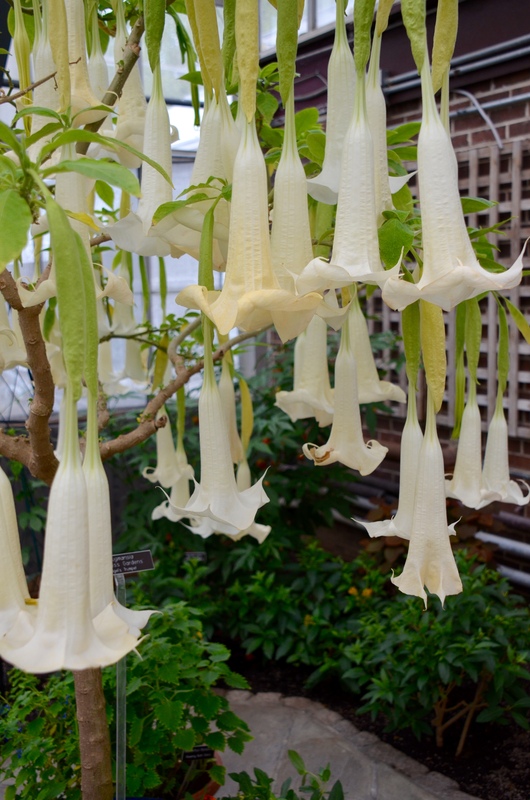 Called Brugmansia here. Ugh. Like your name much better. And I’ve never seen one with SO many blooms on it! I think I like my name for it better too lol. That is the first time I’d ever seen one of those trees. It was in the conservatory, a nice humid, temperature controlled greenhouse. Maybe that is why it was so filled out. What are they? They look like upside down lilies. 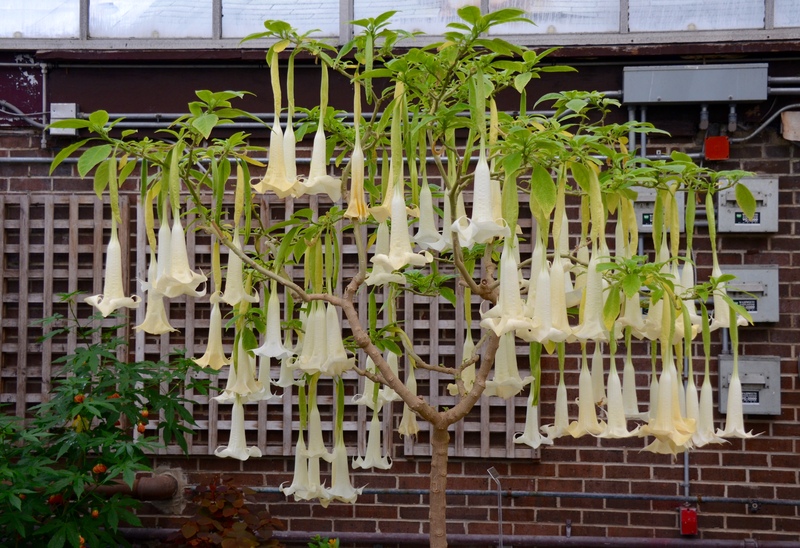 It’s called an Angel Trumpet Tree. It does look a bit like an upside down flower doesn’t it. I thought it was beautiful. It was the first thing I saw when I walked into the conservatory.